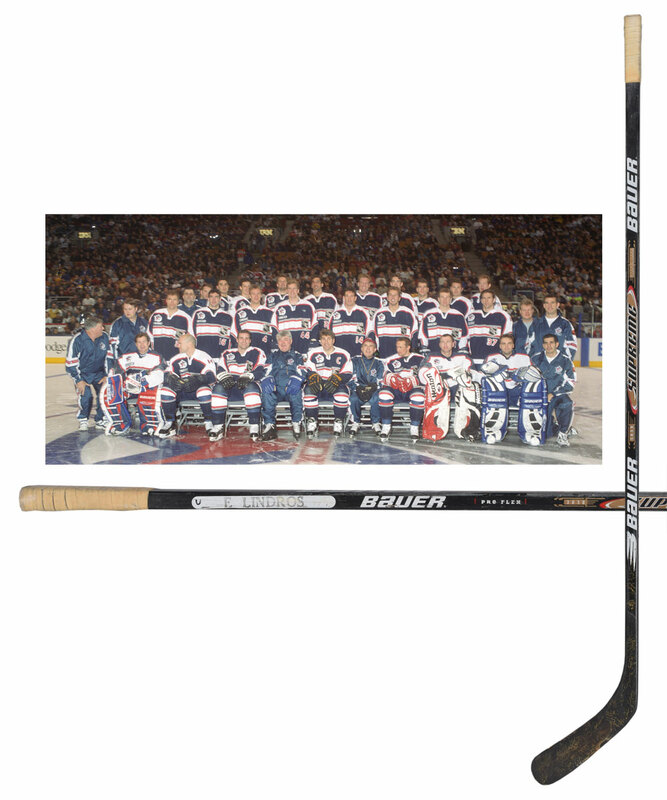 Hailing from the NHL All-Star Game in 2000 – his 5th consecutive - we have a stick used by superstar centerman Eric Lindros, with this example team-signed by the North America All-Stars. A Bauer Supreme 3030 model in solid black with gold and red accents, “E Lindros” appears stamped-onto the upper shaft, with the stick retaining it’s original white wrap over the handle/knob, with some factory coding along the underside. The tape has been removed from the blade to facilitate approx. 23 thin gold marker signatures placed across the front side of the blade and lower shaft, including Lindros, along with fellow HOFers Messier, Chelios, Brodeur, Yzerman, Modano and others. 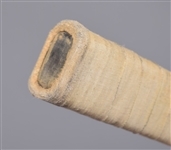 The stick exhibits nice use, with wear to the blade and underside along with a few chips to the top edge. A signed LOA from Eric Lindros will accompany.